Will my data remain on my Android device if I delete the Dashlane app? Can I use Dashlane on Android? In some cases, you might find the Dashlane accessibility service disabled even though you had enabled it not so long ago. 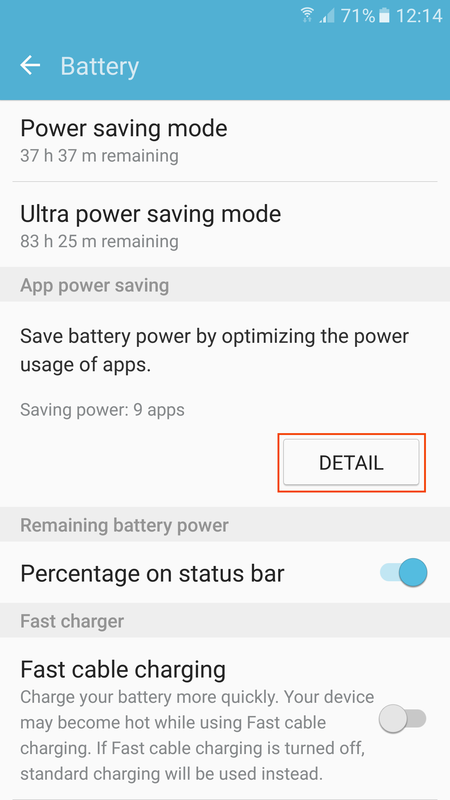 If your device is a recent Samsung model, then it might be caused by the power saving feature. 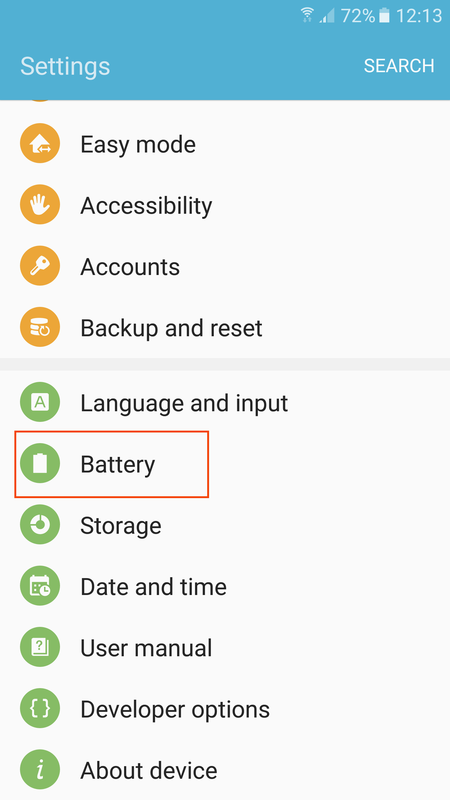 Go to your device settings and select Battery. 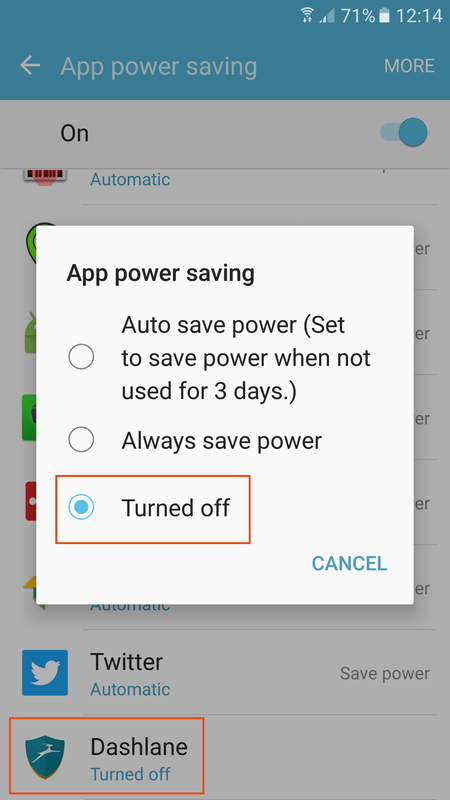 Tap the DETAIL button in the App power saving section. Find and select Dashlane. Select the Turned off option. Your Samsung device should not disable the Dashlane accessibility service anymore once this is done and you should be able to use the Dashlane in-app autologin feature without any problem.